Through the generosity of donors and other collaborations, endowments have been established in support of students, residents, faculty, clinicians and other areas of WMed. 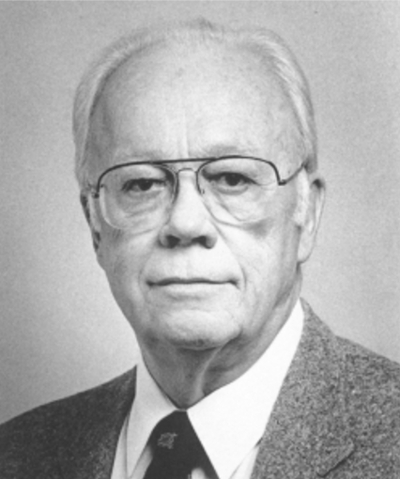 Victor A. Berglund, M.D., or Dr. Vic as he was known, practiced family medicine in Kalamazoo for 43 years. He was passionate about lifelong learning, which was the inspiration for the Victor A. Berglund M.D. 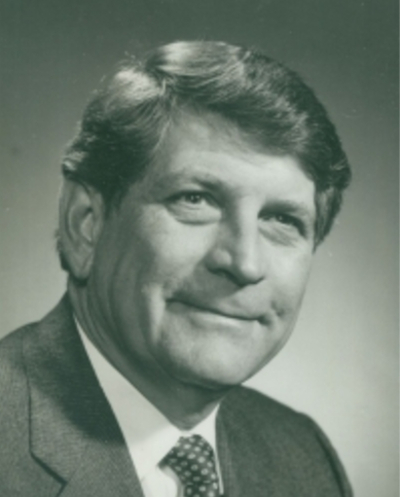 Endowment for Continuing Education established at the Kalamazoo Community Foundation after his passing in the fall of 2000. For many years, the fund has supported the Drug and Information Center at WMed's Oakland Drive Campus. The center continues to be much utilized and has been a valuable enhancement to recruitment efforts. This endowment provides support for the Department of Orthopaedic Surgery to bring to Kalamazoo visiting professors who give medical students, residents, and faculty the cutting edge view in all areas of orthopaedic surgery and care. 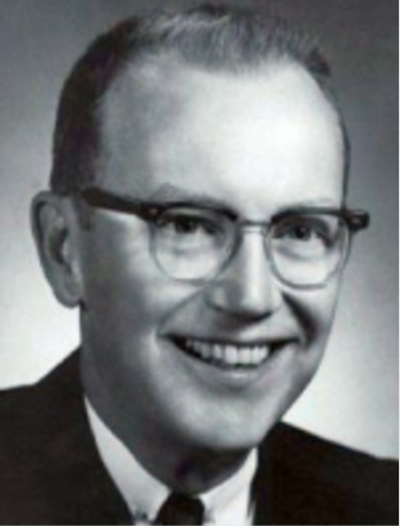 In 1966, Dr. Curtis M. Hanson founded the Orthopaedic Residency Training Program in Kalamazoo and subsequently served 24 years as the Orthopaedic Residency Program Chief. This, in turn, created a rich heritage for the medical community in Kalamazoo, which culminated in the formation and success of what is now WMed. Over 40 years after the creation of this first program, it continues to be strong and fully accredited by the Accreditation Council for Graduate Medical Education (ACGME) - with the benefit of not only strong leadership, but the participation of many former residents as members of the volunteer community teaching faculty. “The presence of a medical school enhances the academic reputation of the university as a whole. From the sciences to humanities, every program is impacted in a positive way when affiliated with a medical school. Research that is performed at the medical school will carry the name of Western Michigan University and will bring awareness of excellence at a national and international level. Deb and I, as alumni, have always believed that WMU provided a firm undergraduate foundation for future success and having a medical school association will affirm that opinion and allow WMU to better compete on a regional and national level. We are proud to be able to help in any way to give back to the school that provided the foundation and opportunities to us and to our family.” ~ Dr. Thomas and Mrs. Debra Ryan, on why they created this endowment fund for WMed. Dr. Ryan is an orthopaedic surgeon and a past resident of the Southwest Michigan Area Health Education Center in Kalamazoo (now WMed). Both Dr. and Mrs. Ryan are Western Michigan University alumni and donors. 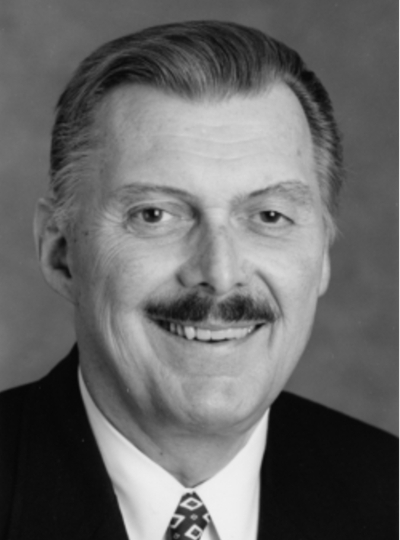 Dr. Michael R. Liepman's contributions to WMed and Southwest Michigan are significant. The number of lives impacted -- and saved -- by Dr. Liepman are in great measure and he affected positive change in our community. 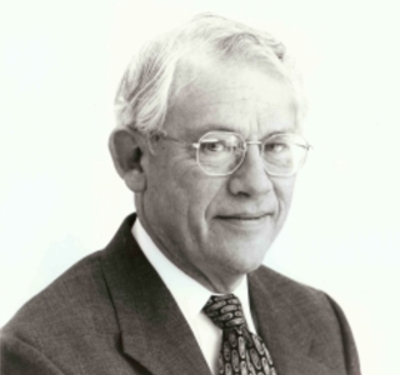 Dr. Liepman was truly a model of what the medical school is working to become by exemplifying the school's mission of educating and inspiring lifelong learners to be exceptional clinicians, leaders, educators, advocates, and researchers of tomorrow. He did this by demonstrating each of WMed's values. Current and incoming students to the medical school will realize Dr. Liepman's generosity and contributions as they aspire to become excellent physicians. Additionally, a large number of faculty and staff have benefited -- and will continue to benefit -- from his goodwill. This endowment supports the Michael R. Liepman M.D. Endowed Lectureship, an annual event that honors Dr. Liepman and features speakers who are prolific in the treatment of addiction and trauma-related disorders. Further contributions for the Michael R. Liepman M.D. Endowed Lectureship should be made to the Department of Psychiatry endowment fund. This endowment provides support for the Department of Orthopaedic Surgery to bring to Kalamazoo visiting professors who give the medical students, residents, and faculty the cutting edge view in all areas of orthopaedic surgery and care. 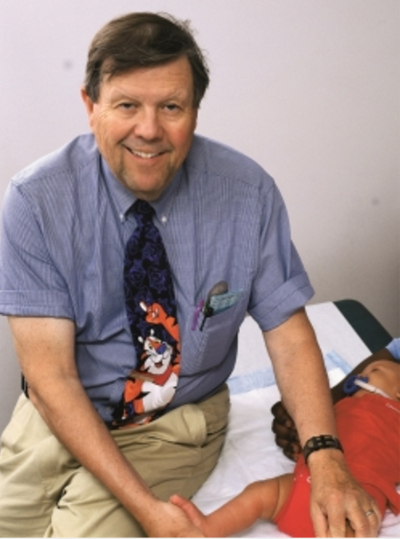 Dr. E. Dennis Lyne graduated from Johns Hopkins University and specialized in Orthopaedic Surgery for over 40 years. In 1991, he became Professor for the Michigan State University Department of Orthopaedic Surgery in Pediatrics at what is now WMed. Dr. Lyne became Chief of Orthopaedic Surgery in 2001 and during that time carefully chose and trained young orthopaedic surgeons. “The presence of a medical school enhances the academic reputation of the university as a whole. From the sciences to humanities, every program is impacted in a positive way when affiliated with a medical school. Research that is performed at the medical school will carry the name of Western Michigan University and will bring awareness of excellence at a national and international level. Deb and I, as alumni, have always believed that WMU provided a firm undergraduate foundation for future success and having a medical school association will affirm that opinion and allow WMU to better compete on a regional and national level. We are proud to be able to help in any way to give back to the school that provided the foundation and opportunities to us and to our family.” ~ Dr. Thomas and Mrs. Debra Ryan, on why they created this endowment fund for the WMed. Norman Williamson, Jr. was the grandson of W.K. Kellogg, founder of the Kellogg Company and the W.K. Kellogg Foundation. Mr. Williamson wrote of recollections of life with his grandfather in the 1999 biography entitled “An Intimate Glimpse of a Shy Grandparent, W.K. Kellogg”. Mr. Williamson also worked at the Kellogg Company for a number of years. Even though he eventually resided in California, Norman Williamson had strong ties and many friends in Battle Creek. One of those lifelong friends was Dr. Sherwood B. Winslow. Dr. Winslow became a prominent physician in Battle Creek, where he was Chief of Staff and Chief of Surgery at Leila Y. Post Montgomery Hospital where he initiated the surgical intern training program with the surgery department of the University of Michigan Hospital from 1947-1963. He was also Chief of Staff and Chief of Surgery for Community Hospital. Dr. Winslow was President of the Michigan Chapter of the American College of Surgeons and on the Board of Directors of the America College of Surgeons, President of the Frederick A. Collier Surgical Society, and President of the Calhoun Medical Society. He participated in and served many community organizations and hospital boards. He was an inductee into the first Battle Creek Health System Hall of Fame in 2009 (posthumously). As a tribute to honor his longtime friend, Norman Williamson created a special endowed fund at the Battle Creek Community Foundation. The funds are used to hold the Sherwood B. Winslow M.D. Distinguished Lectureship. 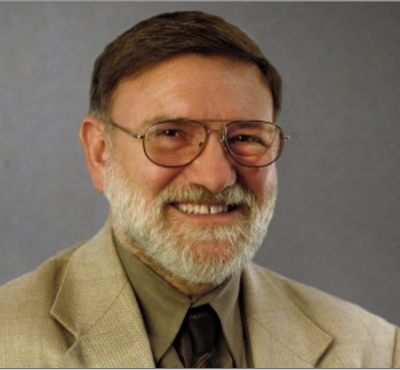 Each year since 1988, a well-respected speaker has been invited to Battle Creek to provide an insightful, though-provoking lecture to physicians, allied health professionals, community members and family members of Dr. Sherwood B. Winslow. WMed is a monument to the vision of Western Michigan University President John M. Dunn. In October of 2007, President Dunn proposed to build a medical school that would serve the people of southwestern Michigan. The consequent outpouring of support and enthusiasm at the University and throughout the region affirmed his idea and work began in earnest to transform his idea into a bricks-and-mortar reality. To shepherd the process, President Dunn served as the Founding Chair of WMed’s Board of Directors. Because of his vision and leadership, the generous philanthropy of key community leaders and the support of the entire Kalamazoo community, 10 years later WMed is preparing to graduate its first class of medical students. The curriculum, built upon self-directed, peer-supported, and experiential inquiry, is both innovative and learner-centered. Not only does it promote excellence in medical education, clinical care, and research, it supports the desire of our students to serve humanity. Through the charitable support from our healthcare partners, as well as members of the WMU Board of Trustees, and others in the community, an endowed scholarship fund in President Dunn's name has been established to celebrate these achievements and honor President Dunn. This endowment will live in perpetuity and will be used to offset educational expenses for select graduates of WMU who become WMed students. Please consider helping qualifying WMU graduates by contributing to the John M. Dunn Endowed Scholarship. The James R. Ryan Family Foundation Scholarship is awarded annually for tuition to the top-ranked rising third-year student at the conclusion of Foundations of Medicine, and the top-ranked rising fourth-year student at the conclusion of third-year clerkships. An individual student may receive this scholarship more than once. All rising third and fourth-year students are considered on class standing and no application is required. The Peter H. Capelli Endowed Scholarship provides tuition assistance to a medical student at WMed. The scholarship is awarded to a student in any year of study based on academic excellence and financial need. Recipient(s) should generally receive the award in each remaining year of medical school based on continued academic excellence and financial need. No application is required. Peter (Pete) Capelli spent seven years in the U.S. Navy after graduating from the North Hunterdon Regional High School in Annandale, N.J. He was a 1965 alumnus of Western Michigan University where he became a founding brother of the Sigma Chi Fraternity. Pete retired from The Upjohn Company in 1992 where he was employed for over 25 years. He and his wife, Amy, raised three sons near Buffalo, N.Y., one of whom is currently a pediatrician in Wisconsin.